Today was springlike in Copenhagen so I thought I'd clean up in the winter cycling photos. 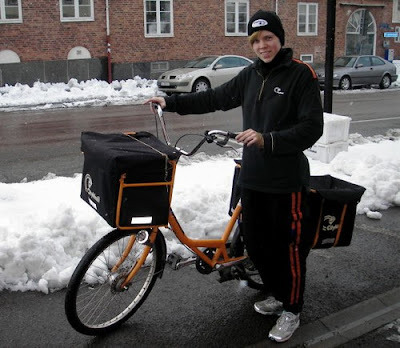 Erik from the cool Swedish site Ecoprofile posted these photos from the hilly city of Gothenburg. A bit of late-winter snow fell and the next morning the bikes were rolling. 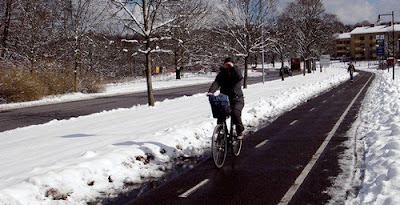 Like most towns and cities in Sweden, the bike lane snowploughs are busy as bees when it snows so that people can pedal to work and school without problems. And the pavement is cleared for pedestrians and postal workers, too.